As technology becomes more portable and affordable, universal access to higher education becomes more achievable. However, even as technology reaches more potential learners, we’re still seeing significant barriers to educational content. In addition to working hard on access and distribution, the Saylor Foundation is also helping lead the way in promoting the creation of more freely available content with our recently launched Open Textbook Challenge (OTC). 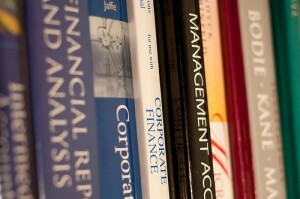 Our Challenge aims to openly license textbooks for over 200 courses residing on Saylor.org. The courses, currently covering subjects found in twelve popular college majors, are designed and peer reviewed by credentialed professors to ensure that each student is presented with educational content equivalent to that which they would encounter if enrolled in a traditional brick and mortar institution. Thus, the texts we license during our Open Textbook Challenge will not only supplement Saylor.org courses, but will be helpful to students and educators in the global higher ed community. To spur authors to openly license their work, the Saylor Foundation is offering a $20,000 award for submitted textbooks accepted for use in our course materials after a round of peer reviews. To be eligible for the award, the author(s) must agree to license the text under a Creative Commons Attribution 3.0 Unported (CC BY) license. While Creative Commons licenses are new to some, authors should understand that, under this license, they retain complete copyright ownership of the text and may still sell the text. The CC BY license ensures that the licensed version remains free in perpetuity and allows for others, including the author, to remix the work in the future to promote maximum distribution of the text. To date, we’ve heard great feedback from professors and potential authors indicating that, in many instances, the $20,000 license fee is often more than what they might normally receive in a traditional publishing deal. We’re excited to have received multiple submissions and want to remind everyone that the deadline to submit a text for our first wave of funding is November 1st. Accepted texts will be announced on the OTC webpage on January 31, 2012. We plan to issue tri-annual waves of funding. Texts for the second wave of funding must be submitted by January 31, 2012; second wave awards will be announced in May 31, 2012. Texts for the third wave of funding must be submitted by May 31, 2012; third wave awards will be announced on September 30, 2012. If you know a textbook author, you can generate a referral code which can earn you $250 for any text you refer that meets our criteria. You can place your OTC referral link in an email blast, on your Facebook wall or in your Twitter Feed, so please help us spread the word!